Let’s celebrate Earth Hour today. 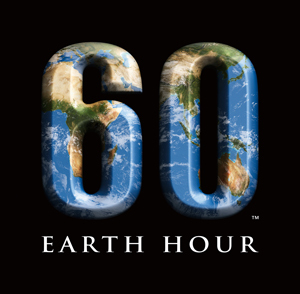 Earth Hour is a global event that is organized by the World Wide Fund for Nature that asks households and businesses to turn of their non-essential lights and electrical appliances for one hour to raise awareness for climate change. Earth Hour began in 2007 in Australia. This is held the last Saturday of March from 8:30 PM to 9:30PM. We can all take part in conserving energy everyday, not just today. But we must start somewhere. So today from 8:30 – 9:30 tonight in support of helping the environment let’s turn off the lights.